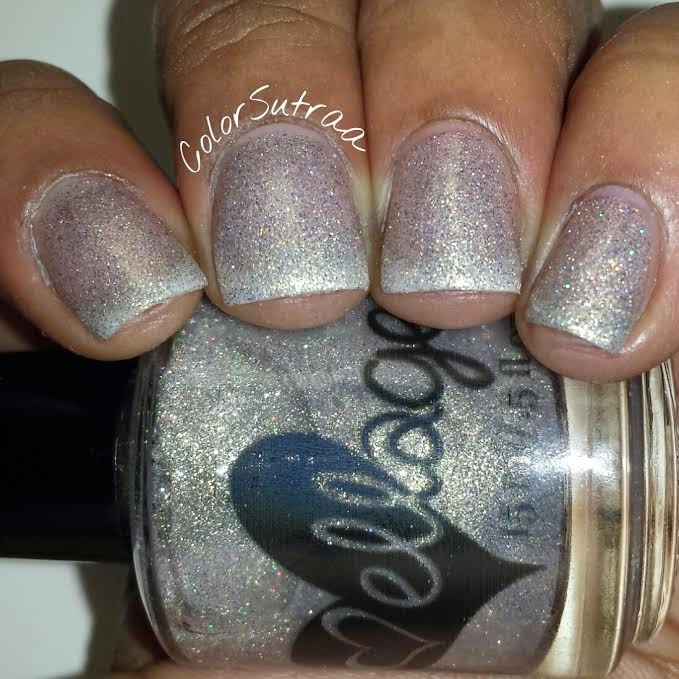 First, Daddy Pop is a silvery white polish with gold shimmer and a touch of holo. 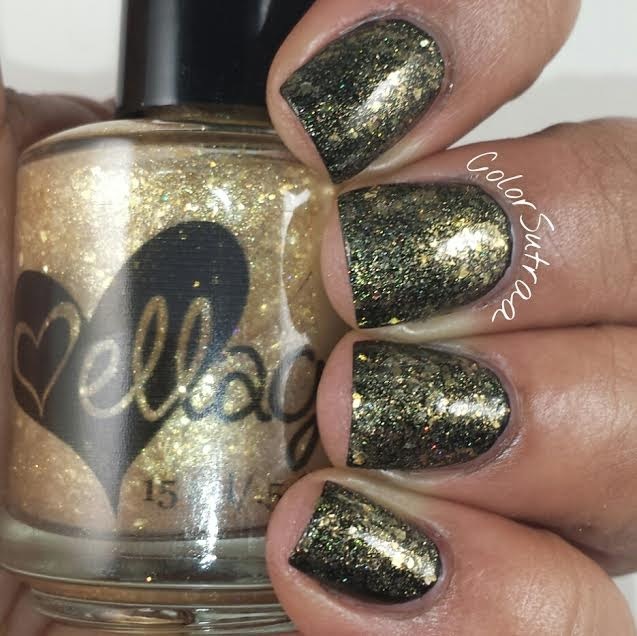 This polish is semi-sheer but goes on smooth as butter--the swatches below show 3 thin coats topped with 1 thin coat of ellagee's Fast Dry Top Coat to finish the look. Isn't this such a pretty white?! 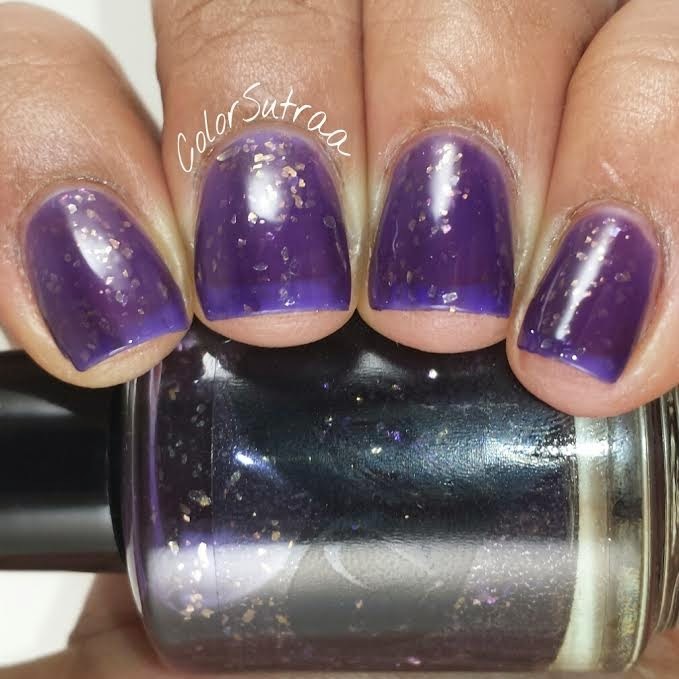 His Royal Badness is a eggplant purple jelly with tons of gold flakies. 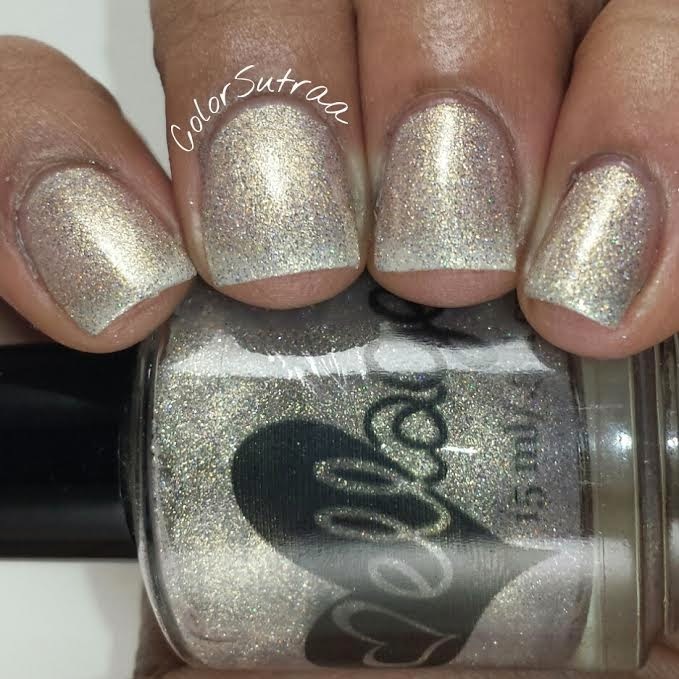 Being a jelly, this polish is semi-sheer but can be built to the opacity you prefer--the swatches below show 3 thin coats topped with 1 thin coat of ellagee's Fast Dry Top Coat to finish the look. SO gorgeous! 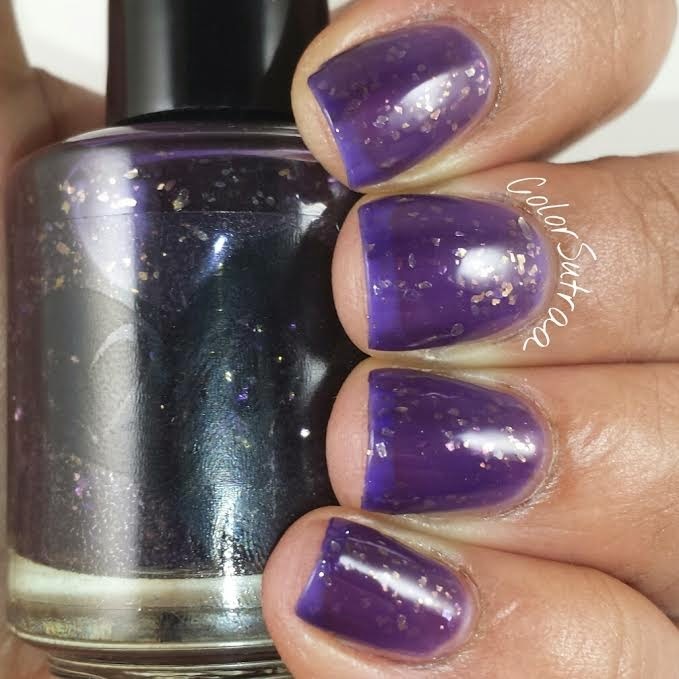 The Polish Formerly Known As Prince is one of my favorites--a stunning purple full-coverage microglitter. 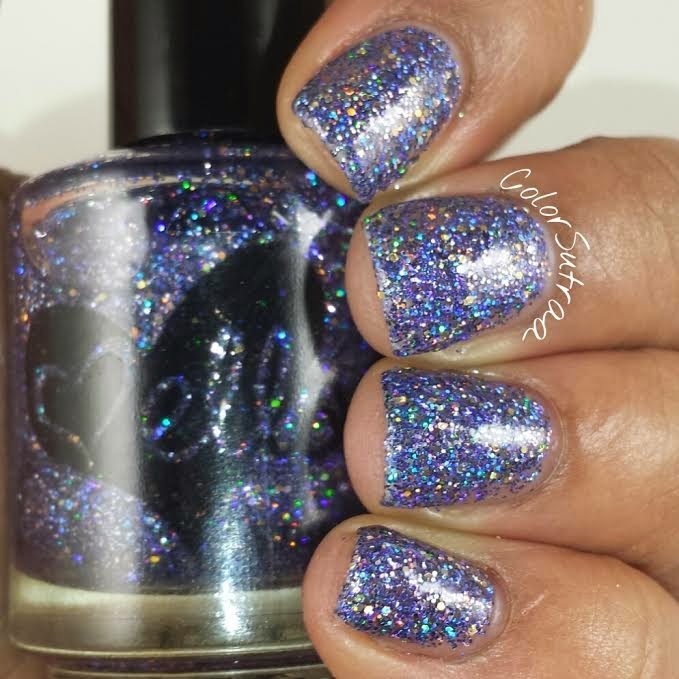 You can layer this polish over your favorite creme but I love how amazing layering coats of microglitters look so this is 4 thin coats 1 thin coat of ellagee's Fast Dry Top Coat to finish the look. Love this so much! 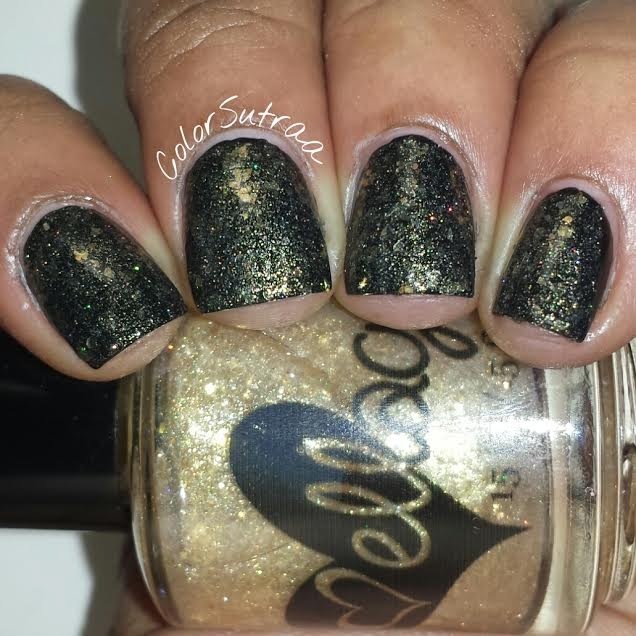 Punch A Higher Floor is a clear base packed with gold shimmer and just a touch of gold flakies and gold holo. 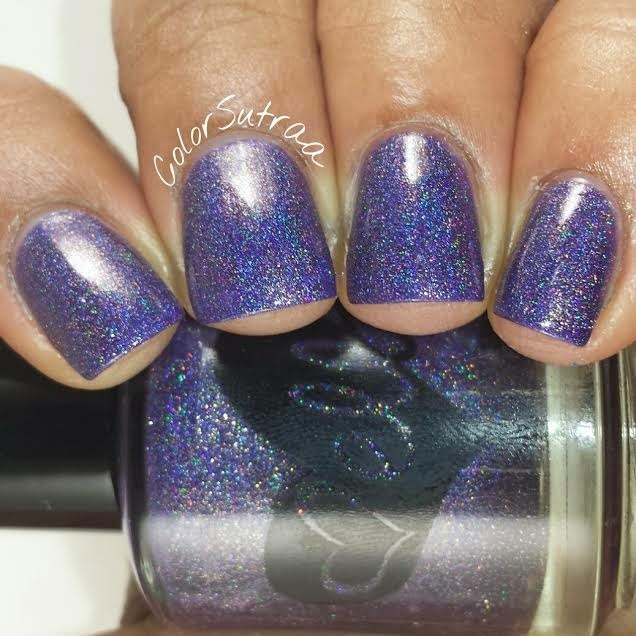 This beauty can be worn as a topper over a dark creme, like I did, or layered by itself. 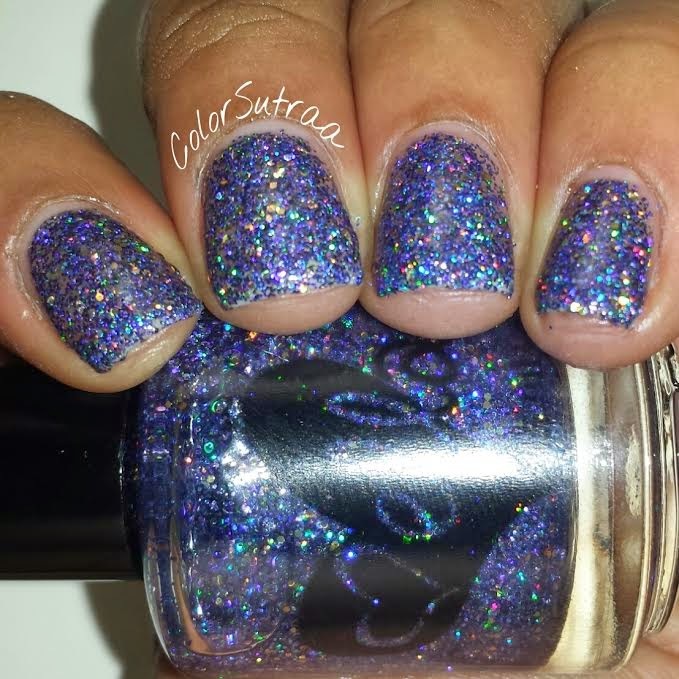 The swatches below show 2 thin coats over Salon Perfect Oil Slick topped with 1 thin coat of ellagee's Fast Dry Top Coat to finish the look. 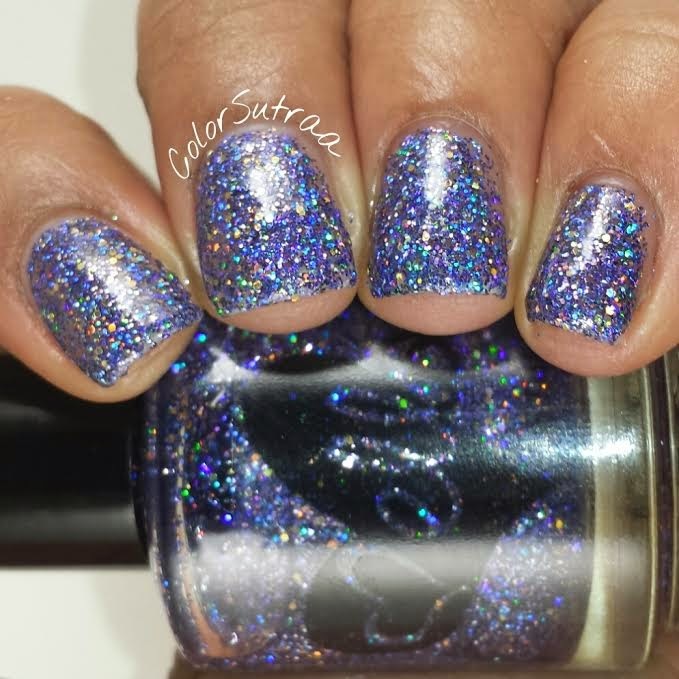 So stunning, right?! 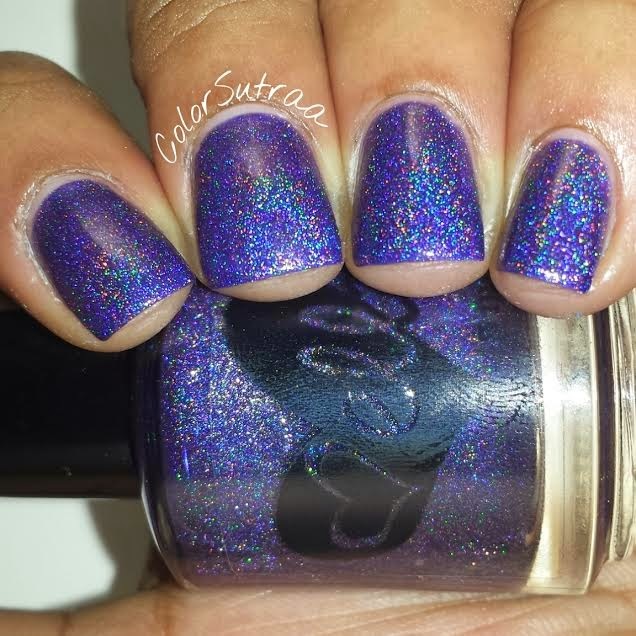 Last but definitely not the least, another personal favorite, The Purple One is a rich, vibrant linear holographic polish with just a touch of gold shimmer. 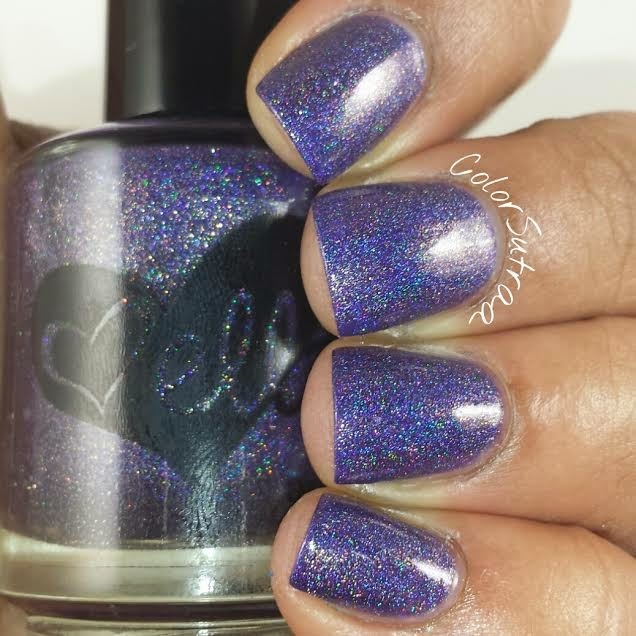 The formula of this polish was an absolute dream and the swatches below show 2 thin coats topped with 1 thin coat of ellagee's Fast Dry Top Coat to finish the look. 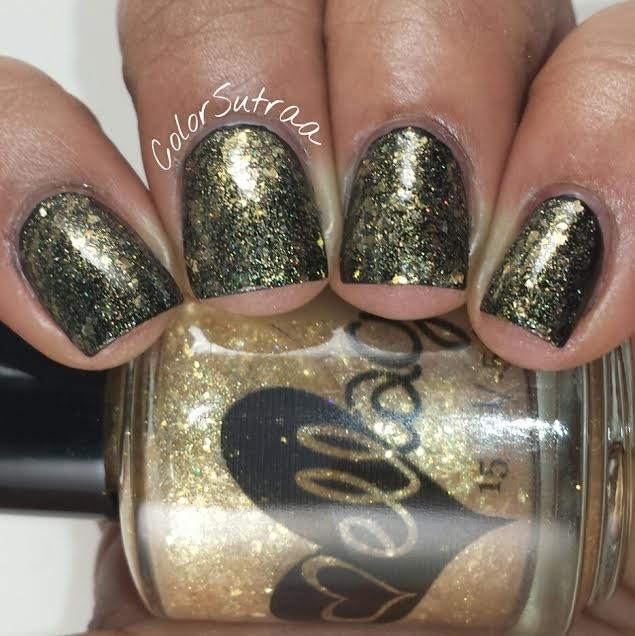 The little bit of gold shimmer just elevates this one to the next level! So there you have it, my darlings! 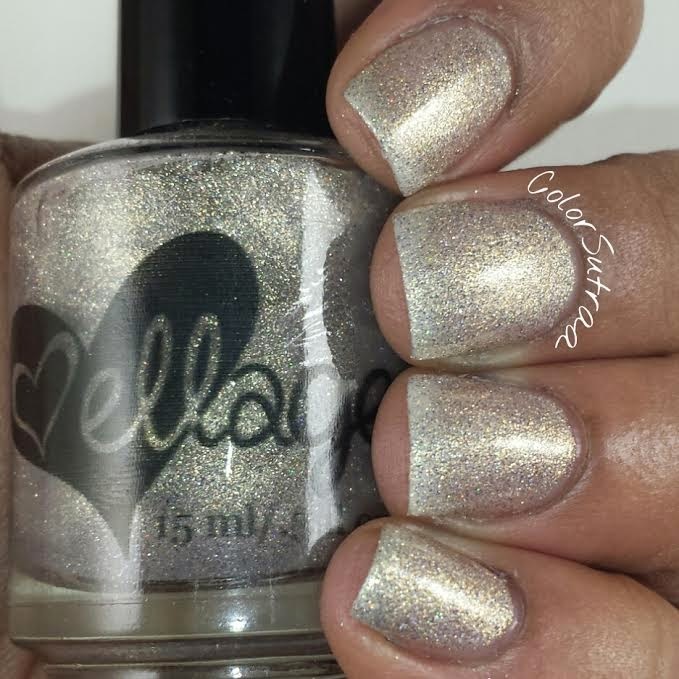 The Artist collection from ellagee! These are releasing tomorrow HERE at noon CST. 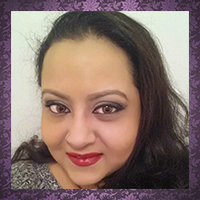 Remember to follow Laura of ellagee on FACEBOOK and INSTAGRAM for all the latest updates and info!